It’s not surprising to see the increased use of resume templates by technology professionals, as the industry avoids the need for reinventing the wheel by creating new frameworks and templates. I would imagine that perhaps 50% of the resumes I see in my recruiting work and my resume business were built using a template. So far I have never used any templates when writing resumes for Resume Raiders, but I understand the temptation. The problem with resume templates should be obvious to anyone who has been forced into using a framework/language/tool that was unfit for the task at hand. The resume template has to somehow work with the material that is to be showcased – otherwise the resulting document will have issues. This is a relatively common two-column template that I see frequently used by developers and designers with varying levels of success. I’ve deleted the actual content to protect the guilty party, but does anyone see the problem? The person who selected this resume surely had the option to include some text fields or other blocks in the left column, but didn’t take advantage. In this case, one can only surmise that the template user simply liked the color red. Unfortunately, now a one page resume has turned into a three page resume because most of the page is just a block of red. If you choose to go with two columns, make sure you actually need (and will use) the second column – otherwise it looks ridiculous. The content has been deleted for obvious reasons, but this resume included the words “I/me/my”over 20 times. The use of first person is not generally recommended, but the repetitive use of first person starts to sound like someone taking full responsibility for tasks that may have been a team effort. Use the first person, but avoid the pronoun. “I developed a…” becomes “Developed a…“, and so on. Most templates include default section headings, and it’s assumed almost all users will want to include details for common default sections such as Experience or Skills. 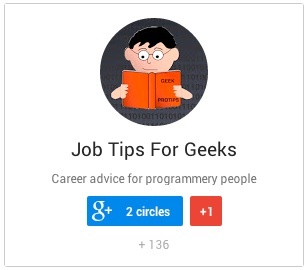 The issue is when the default headings are kept from the template but don’t apply to the individual user’s career history. In these situations the headings may actually highlight an area of weakness instead of a strength. Job seekers without certifications, formalized education, or volunteer experience are better off deleting those sections entirely instead of listing “NONE” or trying to force an entry that may shine a light on a shortcoming. 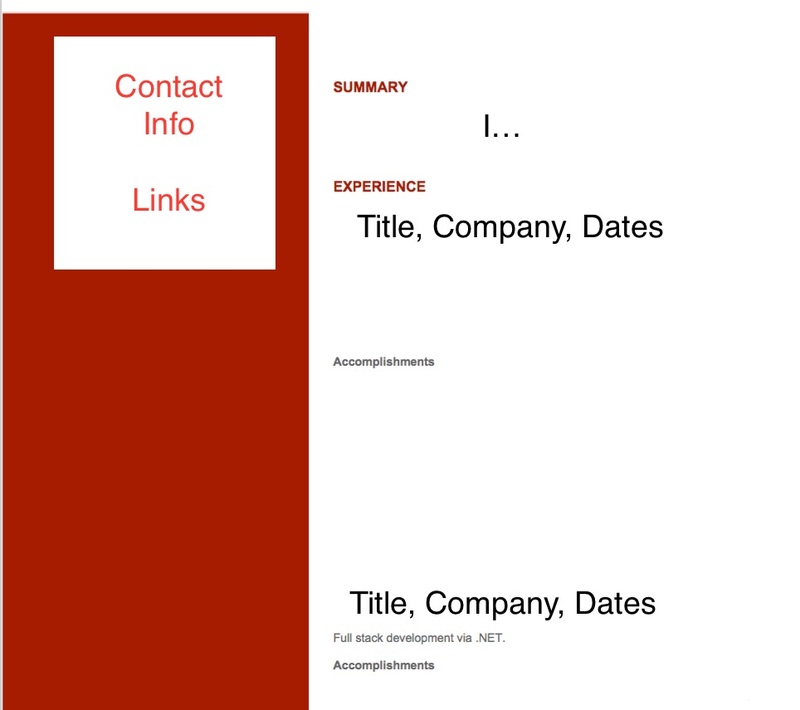 Just because a template includes a section doesn’t mean you should list that section on your resume. Use templates with caution. 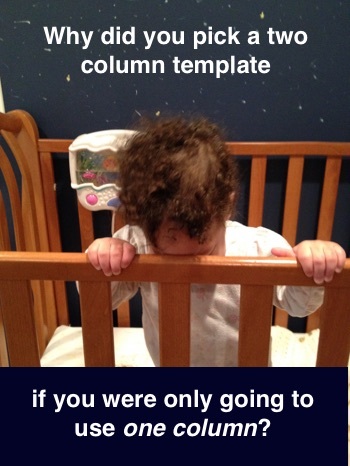 Two-column templates are almost exclusively beneficial to single page resumes. Avoid using first person pronouns. Don’t think you need to keep every section recommended by the template.